Samuel Ingham was born in 1779 on his family’s farm, which included much land around the current Route 202, including the Aquetong Spring, also known as Ingham Spring. After working in paper mills in Philadelphia and Bloomfield, NJ, he returned to his family farm and built a paper mill near the spring. He made paper for the first newspaper in Bucks County. Locally, he worked together with William Parry to secure funds for the first bridge across the Delaware River at New Hope. This covered wooden bridge of six spans was completed in 1814. Samuel entered politics in 1801 when he was elected to serve in the Pennsylvania House of Representatives. He also served as Justice of the Peace, as a member of the U.S. House of Representative, Prothonotary of the Bucks County Court of Common Pleas, and Secretary of the Commonwealth of Pennsylvania. Samuel was named as the ninth Secretary of the Treasury by President Andrew Jackson in 1829. When the Secretary of War married a barmaid, the other cabinet members’ wives strongly objected. Dubbed the Petticoat War, this embarrassment prompted President Jackson to dissolve his entire cabinet. Samuel was offered the ministry to Russia but declined and dropped out of politics. He returned to his farm and his paper mill. Samuel died in 1869 and is buried in the Thompson Memorial Presbyterian Church cemetery. 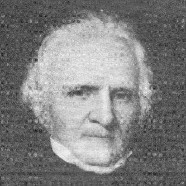 He had helped organize the church as the Solebury Presbyterian Church in 1811. The Ingham House, now part of the Fox Run development, served as headquarters for STHS from 2005 to 2007. Samuel Ingham passed away in 1860.